Orders placed online can be shipped directly to your Home or Business, or picked up in our Store. Flip through our Catalog for thousands of discounted boating accessories. Call or email to place an order. Shipping available, or stop in and pick up from our location. fill out the form below to submit your catalog order. Looking for Parts or Accessories? 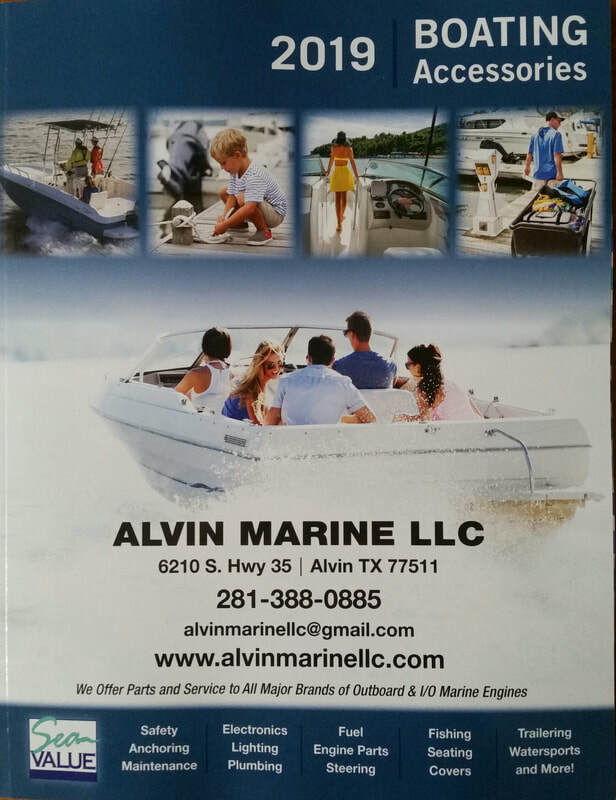 Alvin Marine can help! If we don't have it, we'll find it. We offer many Parts and Accessories for your Boat / Motor. Our experts are ready to answer your questions and find your parts. Complete the form below to send a request to our Parts Department. Mercury/Mariner/Mercruiser/Force Engines will require Engine Serial Number to look up parts. All others will require Model Number.